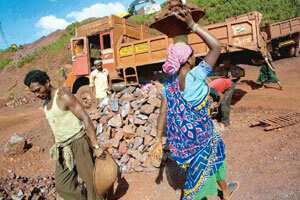 New Delhi: The Union government is expected to consider a proposal to divest around 15% of its stake in state-run NMDC Ltd, the country’s largest producer of iron ore. The proposal is expected to be taken up for approval by the cabinet committee of economic affairs on 19 November. The Union government owns 98.38% equity in the company, which is administered by the steel ministry. The official said that NMDC will issue no fresh equity. Nearly 5% of the equity sale will be reserved for retail investors and there would be an earmarked portion for the company’s employees. The NMDC divestment is likely to see a good response from investors, said an investment banker, who declined to be named. By some estimates, the issue is expected to garner anything between Rs13,000 crore and Rs18,000 crore for the government. The NMDC equity sale would be a major one for the government, which recently articulated a policy on disinvestment. Internal estimates suggest the finance ministry is looking to raise around Rs40,000 crore in 2009-10 from divesting parts of its stakes in as many as five public sector enterprises— NMDC, Rural Electrification Corp. Ltd, NTPC Ltd,Steel Authority of India Ltd and Satluj Jal Vidyut Nigam Ltd.
Last week, the government decided to keep on hold the National Investment Fund till 2012. The fund has a corpus of over Rs1,800 crore. In the three years from April this year, all divestment proceeds will go to the Consolidated Fund of India, helping finance state spending on welfare programmes and reducing the fiscal deficit. The government has also decided that all profitable listed state-owned companies should meet the mandatory listing of 10% public ownership and all government-controlled companies with positive networth, no accumulated losses and net profits in the three preceding consecutive years would be listed on the bourses.